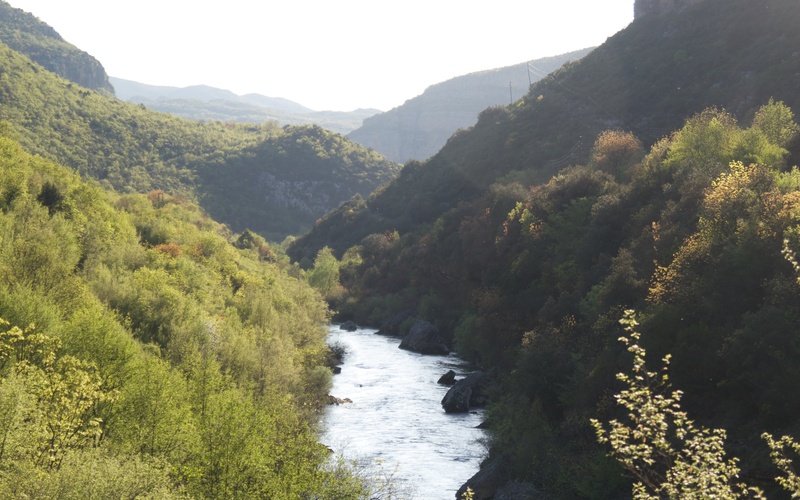 The Rijeka Cijevna (River Cijevna) runs down a wild, steep-sided valley and forms the boundary between Albania and Montenegro to the east of Podgorica. There is a small road that follows the river up the narrowing valley passing farms, a small school, an even smaller church and a disused border control booth; the road crosses the river via the narrowest of bridges and runs out at some abandoned buildings that were probably occupied by border guards. Concrete functional and now crumbling lookout posts are visible on both sides of the river. The only sign that this is border country is the presence of a police patrol car that is ever present on each of my monthly visits. The valley has transformed from cold steel mountains and water with dead brown wooded slopes in March, through bright spring greens in April to heavy storm greys above dense, lush forest in May. The Cijevna valley in March. The Cijevna valley in April. 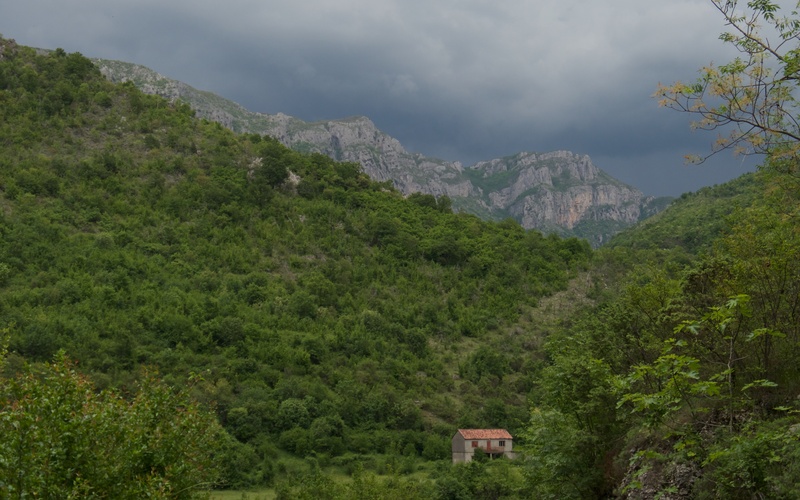 The Cijevna valley in May. 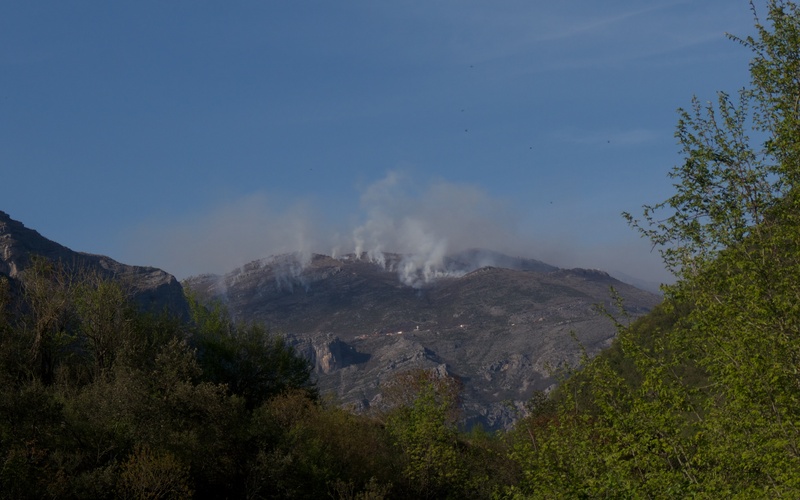 The woodland and scrub on the hills is cleared by fire. 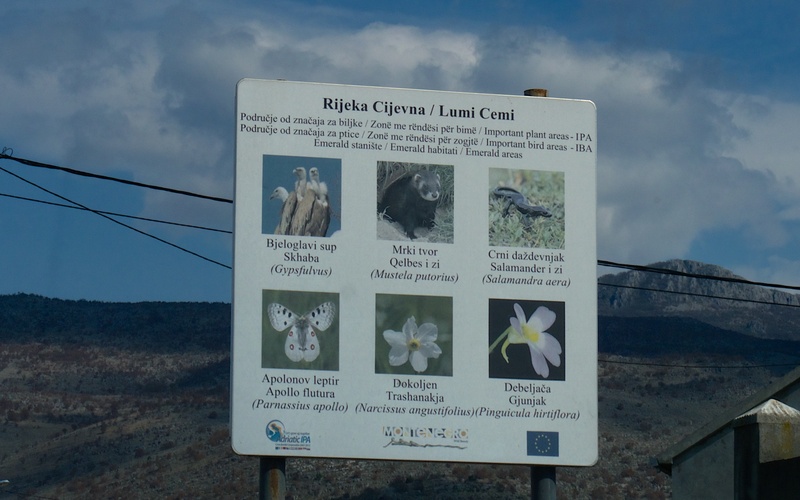 On the side of the road, there is a sign that advertises six species that occur here: Griffon vulture (Gyps fulvus), polecat (Mustela putorius), alpine salamander (Salamandra atra), apollo butterfly (Parnassius apollo), pheasant’s eye or poet’s daffodil (Narcissus angustifolius now named N. poeticus) and a butterwort (Pinguicula hirtiflora). 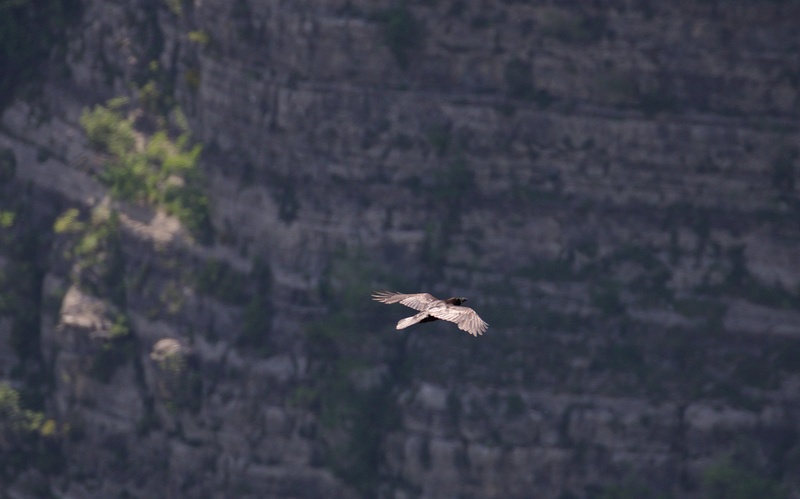 1) Griffon Vulture – I hoped to see Griffon vultures soaring above the steep cliffs but I have never seen one here or in any of the Montenegrin mountains. I fear there are none; they are readily poisoned by baits left for wolves. The valley holds many pairs of ravens that in March were patrolling in pairs and showing off their acrobatic skills as well as a couple of pairs of kestrels. Dippers and grey wagtails run up and down the river, their sharp calls rising above the noise of the rushing water. Raven patrolling the valley, ever on the lookout. 2) Polecat – is a nocturnal mammal and the most likely sighting is a road kill. I came across plenty of dead pine or beech martens in April but no polecats yet. The only obvious mammals here are herds of long-haired goats that walk dangerously close to the cliff edge and enjoy a lot of head butting and jostling. 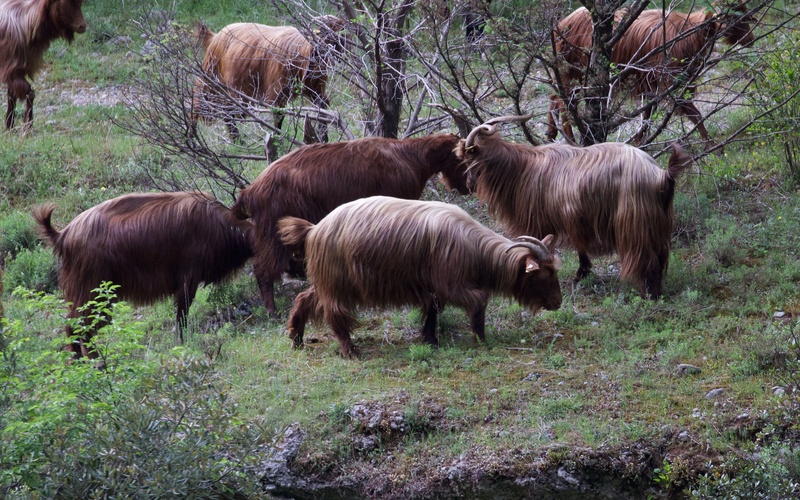 A herd of long-haired goats. 3) Alpine salamander – I have missed this and need to come out in the pouring rain or immediately afterwards when they are, apparently, very numerous. Common toads (Bufo bufo) were out in humid weather before a storm broke. 4) Apollo butterfly – this huge butterfly is not uncommon and may be on the wing in late May with luck but more likely June or even July. 5) Pheasant’s eye daffodil – I have missed this on the cliffs here but have seen it elsewhere; the best display was on the low cliffs above the village of Seoce. 6) Butterwort – I eventually found this a week or so ago. This is a carnivorous species that wraps its leaves around trapped flies and other invertebrates to extract nitrogen; it is found on wet rocks around waterfalls and seepages. 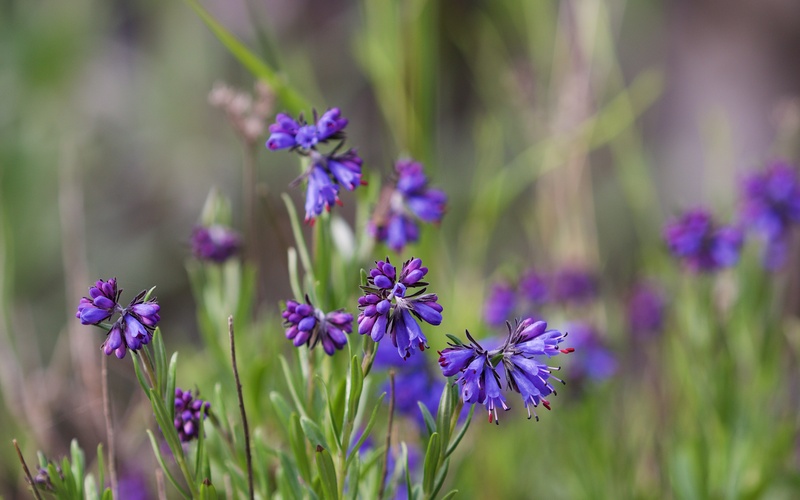 The Cijevna gorge has a section of such wet rocks in the upper section of the valley that supports a large colony of these intriguing plants. This is the westernmost colony of a species that botanists have described as Pinguicula hirtiflora var. hirtiflora. 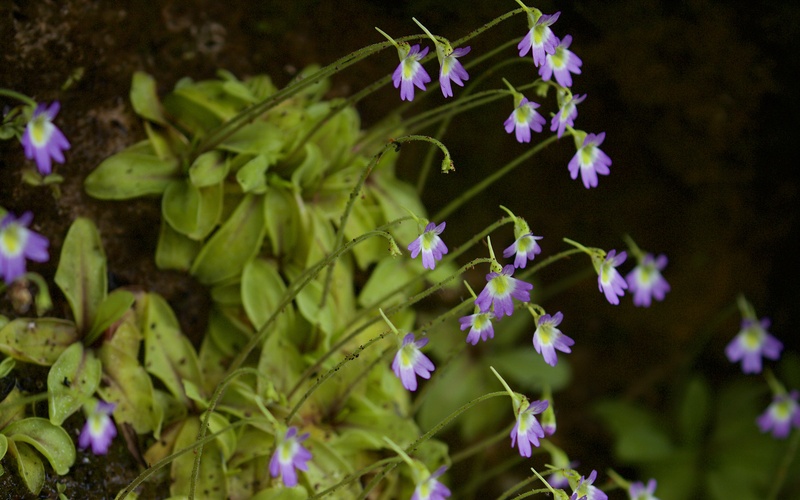 Butterwort (Pinguicula hirtiflora var. 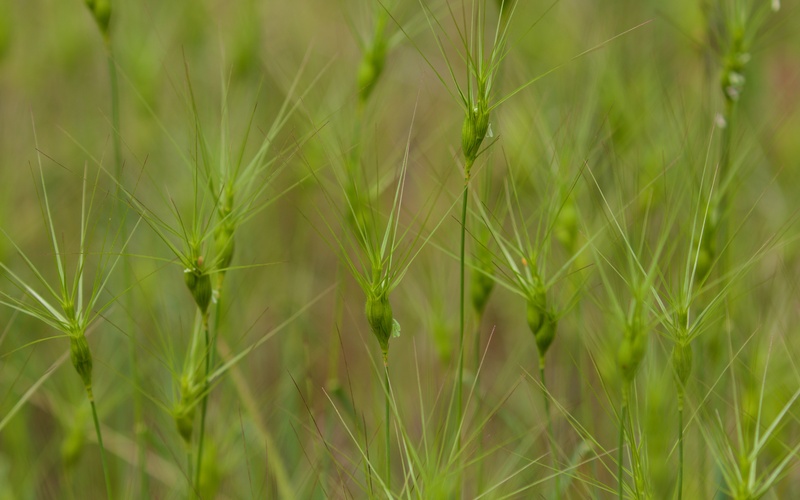 hirtiflora). 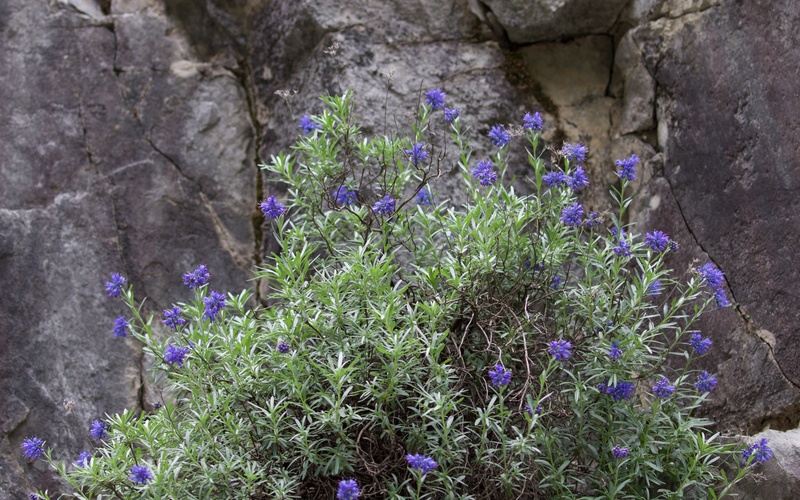 Another common plant on the limestone cliffs in this upper section is the delicate blue-flowered Moltkia petraea. There are a number of fern species here too hidden in the shade. In the lower valley, the small abandoned fields hold pink butterfly orchid (Orchis papilionacea), Serapias (Serapias lingua and S. vomeracea), a dizzying array of grass species and dazzling day-flying moths. 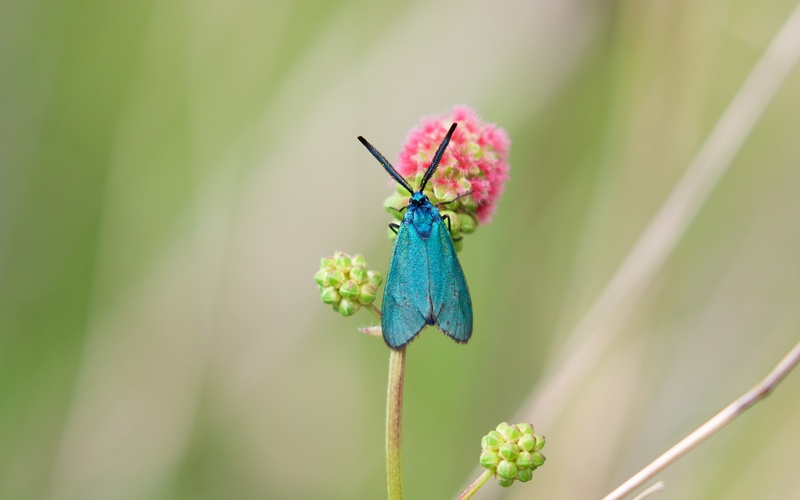 Grass species showing off its spectacular symmetry and a forester moth species.